So often our attempts to declutter and minimise can be stopped or never started. It can seem like an ideal which never materialises. The dream to walk through the door after work or the school run. To feel calm not a sense of chaos. To play with the kids without the thoughts of the mess that will overwhelm the house. Opening the wardrobe, and picking out clothes that fit, and make you feel amazing. Making meals without having to move piles of stuff to another pile. I hit that limit I realised so much of my anxiety and stress was stemmed from all the things I had to do to make the house livable, accessible and orderly. It was at that point I knew I needed to streamline, to minimise and to make my life easier! I was (and still am!) working, doing a degree, marathon training, being a mama and wife, looking after and supporting family members who often stayed frequently. Looking back, I wonder why I never did it sooner! But actually, there were reasons why I didn’t make this change earlier. Below I’m going to identify and challenge the ideas I had, and that is common to many people who I talk to. 2. Overwhelm: I had no clue where the best place to start was. When everywhere is chaotic, where do you begin to make a dent in the mess? Practically, the kitchen and bathroom is always a great place to start. It holds the least emotions and makes a practical difference! 3. Other people: Mr M has always been minimal when we moved out he only had a rucksack and his console! So for us, we were both on board and M just wanted me to be happy but for others, getting your other half can be so hard! There is no one size fits all answer, and a later post will discuss this, but one option is to communicate what it is your doing. Maybe designate spaces which are theirs and untouchable to the minimal touch! e.g. the garage, their clothes etc. 4. Time: Who needs some extra hours in the day?! Being intentional and setting time aside to focus on the job is essential. The changes you make reverberate through the home and your mind and emotions. Investing in some time now will pay off! Maybe plan 20 mins each day or an hour each Friday for example. 5. Unrealistic expectations: As much as I love Instagram and Pinterest, they can create unrealistic expectations which bring resentment and disappointment. I scroll through and see these beautiful homes which only contain the essential, but I have a house which is full of people! We have a life, and we do not just own 200 items. 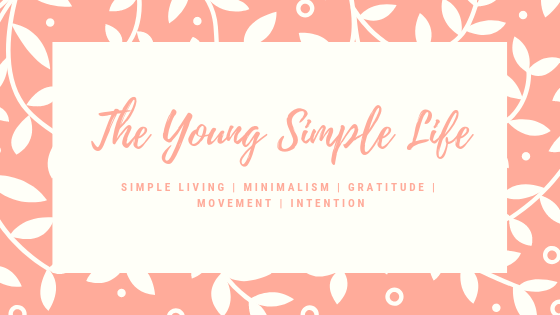 Minimalism for our family is about simplifying our lives, to nurture relationships and reduce stress, therefore, despite wanting a Pinterest worthy house, I don’t want a home with no joy and fun! Work out what you want and the reasons why you are attempting to minimise, then maintain them throughout. Keep them at the forefront of your mind and when you feel the comparison arise, remember why you’re starting. So, guys, I hope that you can realise the reasons why you cannot start to declutter or why you stall halfway through. Once I noted the reasons why I could not maintain motivation, it became easier to surmount them! Let me know how you get on and if you have any different reasons which make minimising harder.